Complied to determine the winner of the What Car? Safety Award 2018, the shortlist sees carmakers recognised for their commitment to accident reduction by fitting ADAS technologies as standard, with standard-fit Lane Keep Assist systems mandatory to make the grade. 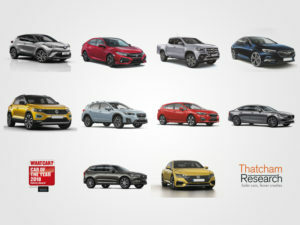 All the top 10 cars also have standard-fit Autonomous Emergency Braking systems, which operate at city and motorway speeds and can detect pedestrians, while the judges will also give extra merit to vehicles with AEB systems that can identify cyclists and other vulnerable road users.